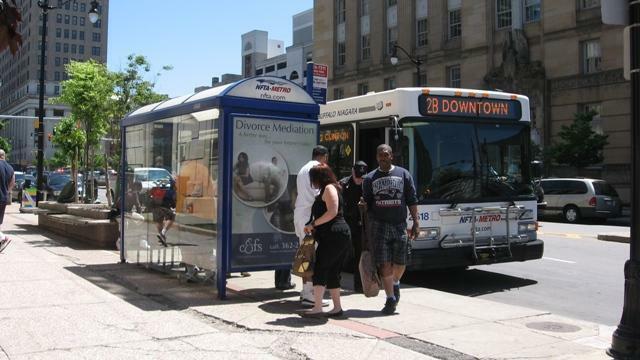 A new study has ranked Buffalo as having the ninth most effective public transportation system in the nation among mid-sized cities. The ranking is based on data compiled by Walk Score, a Redfin real estate company. The study uses a “transit score” that ranks communities based on the effectiveness of their public transportation. Factors included in the score were convenience, timeliness and accessibility. The study rated cities with populations of 100,000 to 300,000. Metro Bus and Metro Rail scored 50.4 which designates Buffalo as having “good” system. NFTA Public Affairs Director Doug Hartmayer told WBFO the authority is proud of the ranking. The ranking was released not long after there were growing concerns this summer about a shortage of bus drivers that some complained was undermining transit service on some routes in the City of Buffalo. 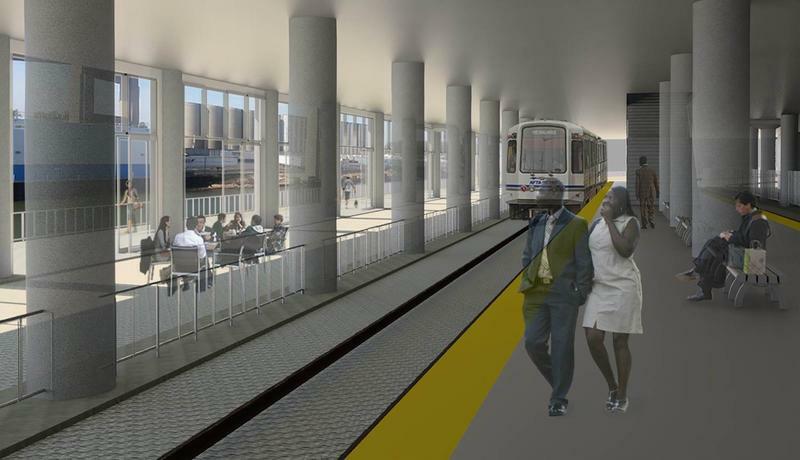 The NFTA is in the process of gauging public interest for expanding the Metro Rail to the University at Buffalo North Campus in Amherst and the old DL&W Terminal at the Inner Harbor. “Both of those projects are being looked at and studied as we speak because as we know, as history has shown us, things are changing, things are going to continue to evolve and we want to be in a position to be able to service the highest amount of customers possible,” Hartmayer said. Metro Bus and Rail provided 25.6 million rides last year. Other cities ranked in the top ten included Jersey City, Yonkers and Newark. Cambridge, Massachusetts was ranked first in the study. The Niagara Frontier Transportation Authority is making a big investment towards its future. The Niagara Frontier Transportation Authority is offering Metro Bus and Rail riders a nice reward for sharing their thoughts on its new fare system. The old one is being replaced with technology. 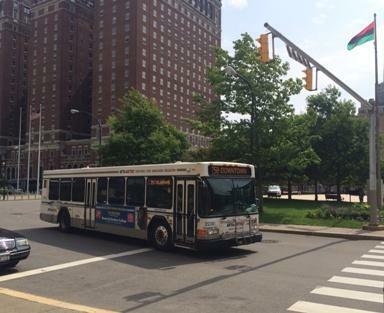 WBFO's Chris Caya reports on changes coming to Metro Bus and Metro Rail. Buffalo’s renaissance has seen success, in part, because the city has learned to embrace its unique characteristics and remake them to meet current and future demands. So far, it’s been done well on the downtown waterfront, with one exception – the DL&W Terminal.